We had a lovely meeting covering a lot of official business, and looking at amazing quilts! Next Sew-In: February 9 from 12pm - 4pm. Please book your space through Pink Castle Fabrics. Next Meeting: February 26 at 6:30pm. Please book your space through Pink Castle Fabrics. Please bring your Riley Blake entry, as well as a Fat Quarter, if you would like to participate. More details below. Elections: our current board was unopposed, leaving the positions unchanged. VP of Programs: Debbie G.
VP of Membership: Rossie H.
One revision was proposed and approved, changing our dues year to October - October. PayPal Fees: tiered pricing for dues, or flat rate for everyone that covers fees? Proposal: do you want to pay $25 if you write a check, $27 if you pay via PayPal, or should everyone pay $26? A majority vote ruled for $25 if you write a check, $27 if you pay via PayPal. The retreat is at the Howell Conference and Nature Center. We're in the Grindley Lodge. 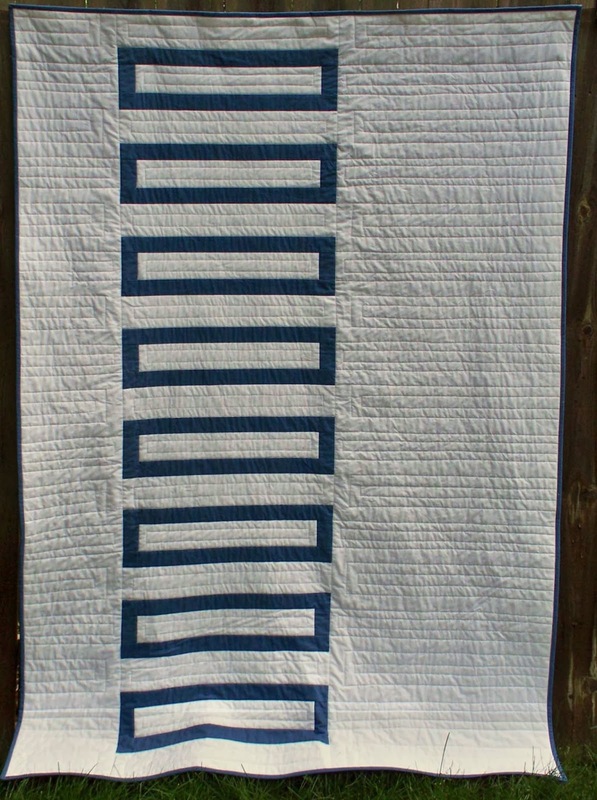 VA hospital lap quilts: economy blocks in red, white, and blues or masculine shades. There will be instructions for how to make the blocks at the retreat. Please bring fabrics to add to our charity collection if you have any to spare. 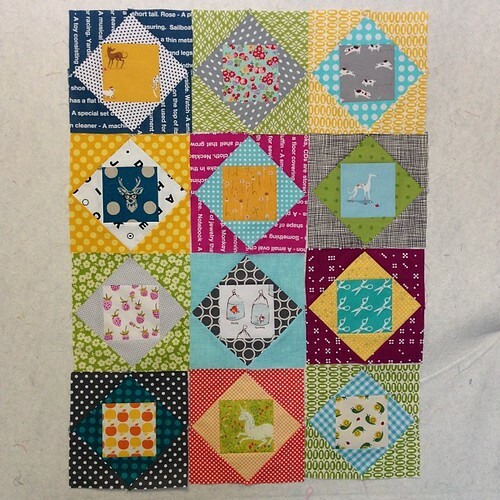 Jenna has some fussy cut center square blocks that can be framed out as desired. They will be joined eventually to be donated. Pam talked about Margaret's Hope Chest, an organization that needs quilts for various programs. An introduction to the guidelines was offered by Debbie. Formal guidelines for submission are to follow. OUR GUILD CONTEST: Bring entry items to our next meeting! February! Those who wish to enter the contest should bring a Fat Quarter to put in a pool. We will do a Survey Monkey form to have the guild pick a winner. Winner will take the fabric stack! Overview of current Guild budget - Jen B. One Day Retreat: Sunday, April 27 from 9am - 9pm. Cost is $20 and spaces can be booked through the Pink Castle Classes webpage. Space is limited. Next month, we will Spotlight Lynn Harris! 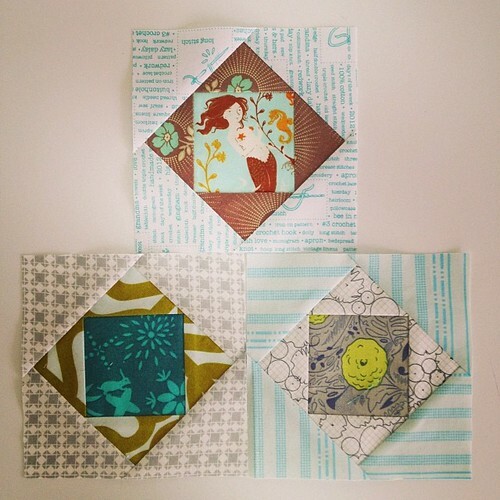 We will be having an "ugly" fat quarter swap at tomorrow's meeting. So please bring in one (or more) of those ugly fabric fat quarters to swap for something even uglier! 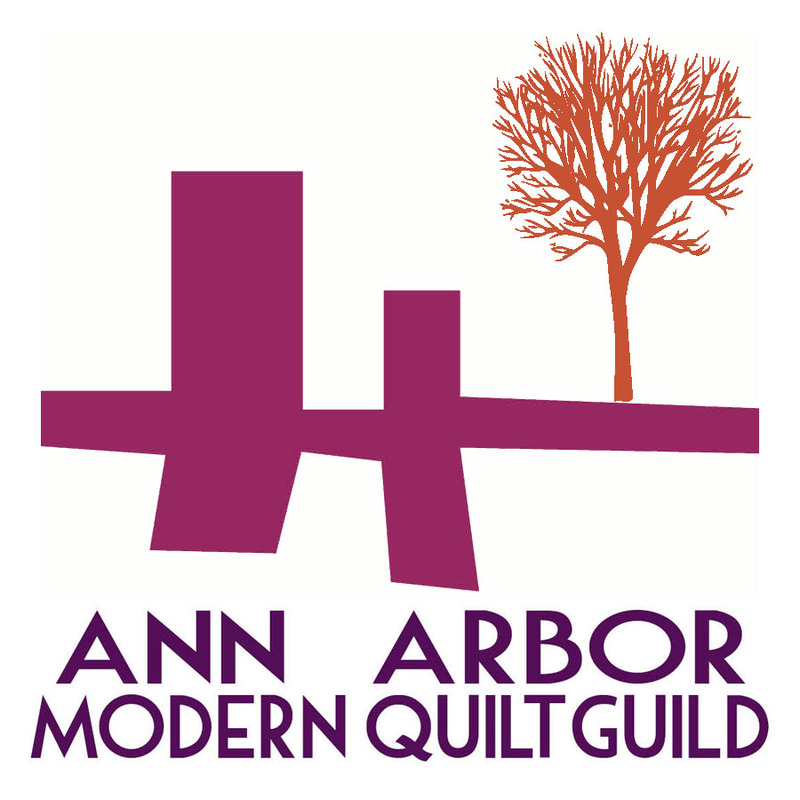 We have a meeting on Wednesday, January 29th at 6:30pm at Pink Castle Fabrics. We'll be covering a bit of business, as we need to formally hold our elections and review our bylaws. But there will be fun stuff, too! Round robins, member spotlight, and some other goodies. Weekly Round up for January 26th! 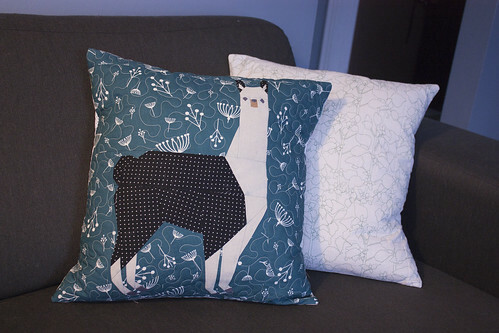 And a llama pillow! In the post she talks about her trip to Peru, with amazing pictures, so I encourage you all to click over! 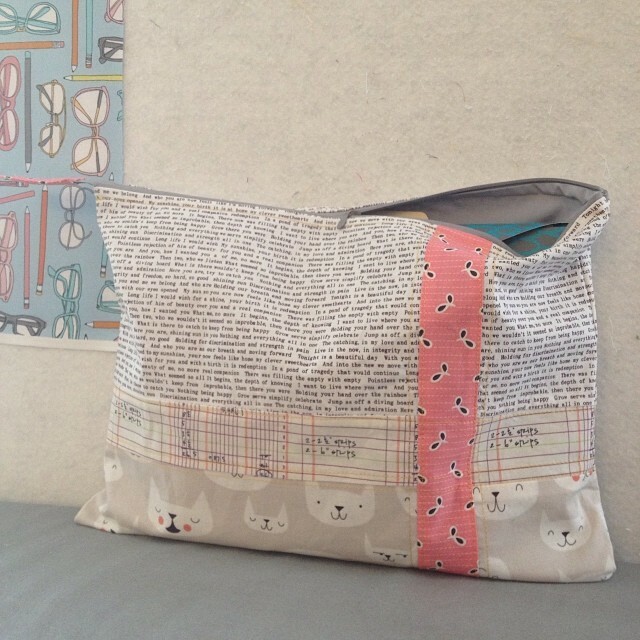 Llama pattern by Sarah of Sew What Sherlock. Ginia has been sewing together, unsewing, and resewing together nine patches. Love this layout! Kathy has been working with free motion quilting words. This looks super neat! And it's just the back! Pam has been shopping for fabric. And found many wonderful things. Hope you can all make it to the meeting this week! Weekly Round Up for January 18th, 2014! Lots going on this week! 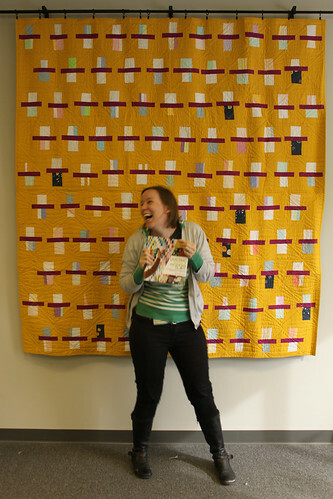 Let's look at some quilts! 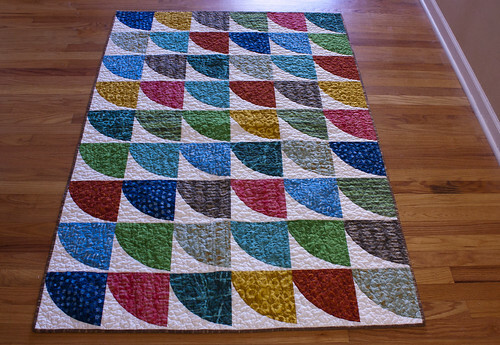 Ronit made this dramatic baby quilt over the summer. What a fabulous collection of colors! 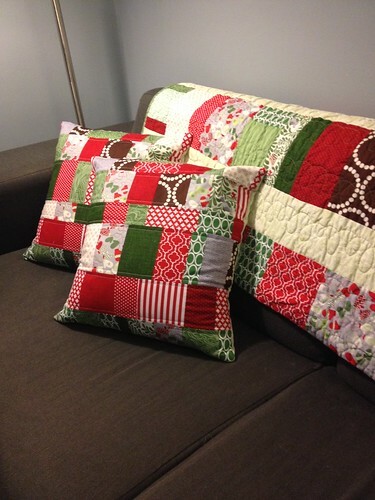 Rebekah has a new Christmas quilt and matching pillows on her blog. There's also a sweet tree skirt and some cute hand towels in the post. 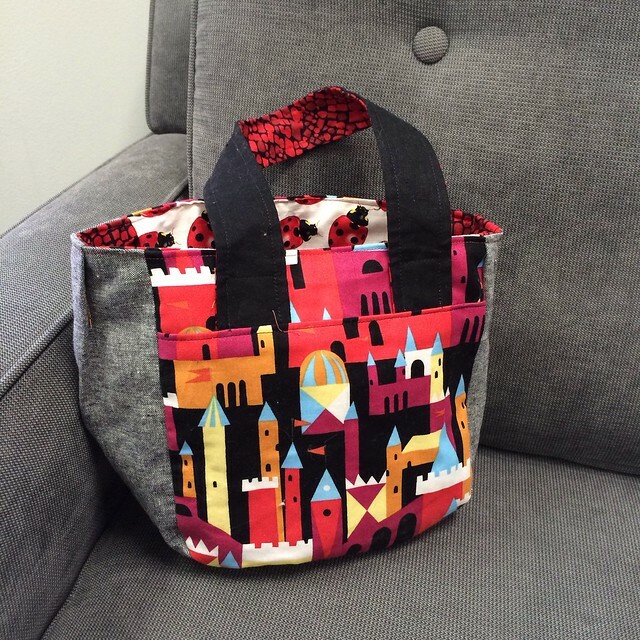 I posted some Lizzy House Castle Peeps bags I'd made a few weeks back. Weekly Round-Up for January 11, 2014! 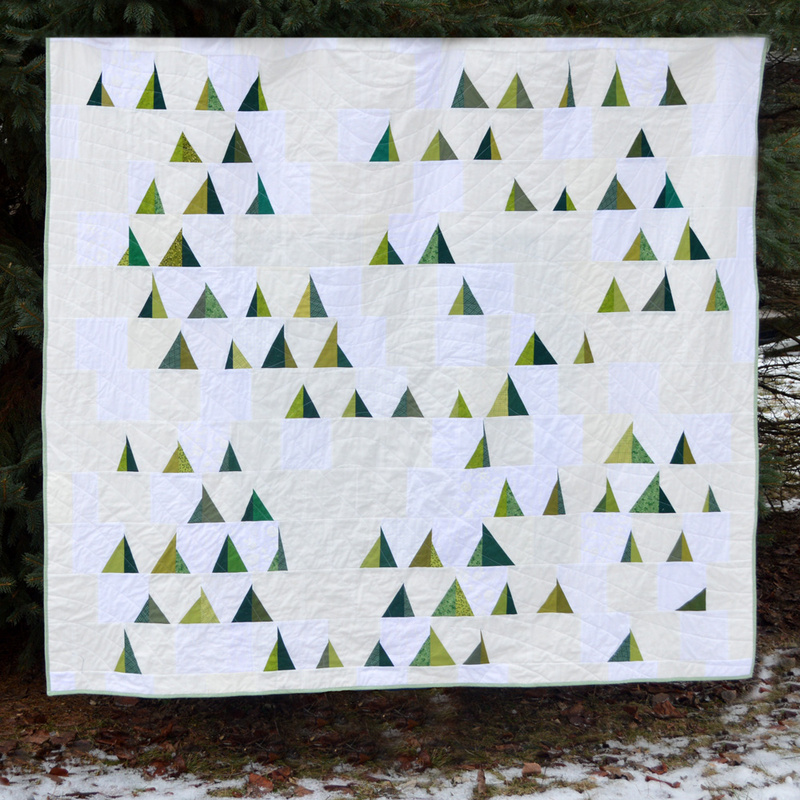 Jenna's got her fabulous Woodlands in Winter quilt up on her blog - with a tree making tutorial. Pam is working on something new... love these colors! Dorie has knit herself a sweater. I also love those colors. Hope to see you at the sew in tomorrow! Sew In on Sunday is a go! We've had 5 RSVPs for the Sew-in on Sunday from 12 - 4pm at Pink Castle, so it's a go! You can still book a space. Weekly Round Up for January 5th, 2014! And it's the new year! I'm sure we're all resolved to sew even more of all the things! I just love the icy colors! Kathy's still working on her bag. I'm excited to see this one when it's finished! A few of us have posted year end, year beginning posts - Rossie, Debbie, and Pam. Hope you all can spend this snowy day warm in front of your sewing machines!